Skylight 32 integrates flight control board with 4 12Amp BLHeli One shot speed controllers. The power system consists of EMAX 2204 2300 kV motors and 6045 propellers mounted on a 10 degree tilt, allowing for greater forward speeds without sacrificing elevation. As for the FPV racer, the Nighthawk Pro 280 includes a 700TVL camera with optional tilt mounts that extends a perfect horizontal view in flight. What is more, the 20W-200W video transmitter with a selectable switch entitles the operator to select power output of the transmitter. 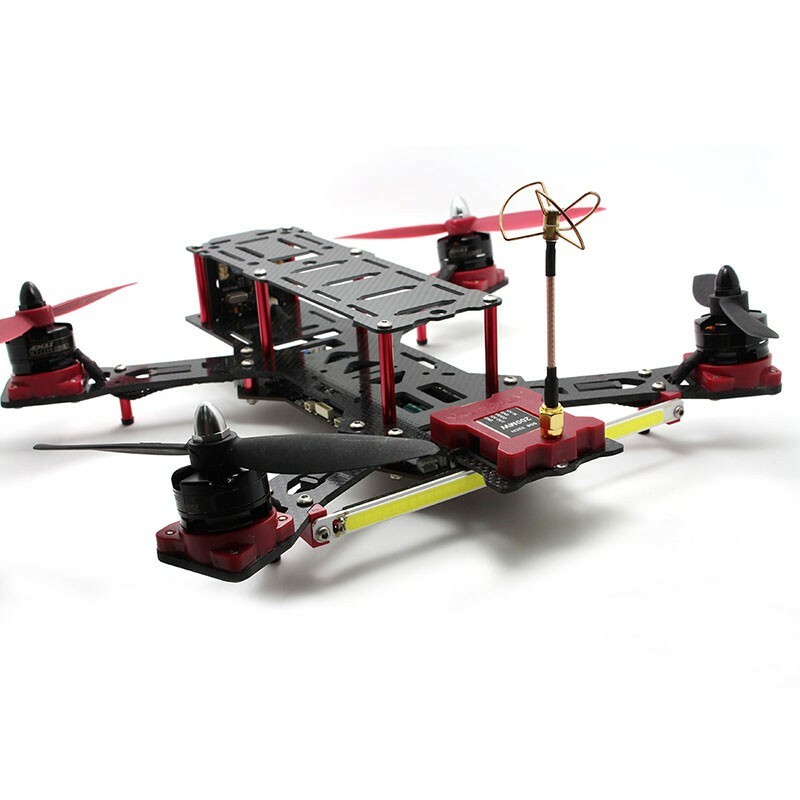 Undoubtedly, it is an amazing noval quadcopter that captures the joy of quadcopter racing!